Social work involves ameliorating social problems such as poverty and homelessness. Social work is a discipline involving the application of social theory and research methods to study and improve the lives of people, groups, and societies. It incorporates and uses other social sciences as a means to improve the human condition and positively change society's response to chronic problems, such as poverty and homelessness. Social work is also the name of the profession committed to the pursuit of social justice, to the enhancement of the quality of life, and to the development of the full potential of each individual, family, group, and community in society. It seeks to simultaneously address and resolve social issues at every level of society and economic status, but especially among the poor and sick. Social work, as a profession or pursuit, originated in the nineteenth century, beginning primarily in the United States and England in response to societal problems that resulted from the Industrial Revolution. The settlement movement's emphasis on advocacy and case work became part of social work practice. During the twentieth century, the profession began to rely more on research and evidenced-based practice as it attempted to improve its professionalism. Eventually an increasing number of educational institutions began to offer social work programs. As ideas of social responsibility developed, social work became more and more integral to the functioning of contemporary society. Although originally instituted as emergency measures in times of dire need, social work is now considered an essential function that not only saves the weak and needy but also supports the general health of society. 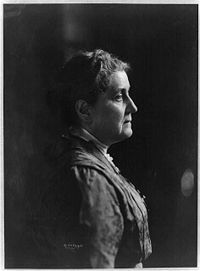 Jane Addams (September 6, 1860 – May 21, 1935) was a founder of the U.S. Settlement House movement and is considered one of the early influences on professional social work in the United States. Social work has its roots in the struggle of society to deal with poverty and its resultant problems. Therefore, social work is intricately linked with the idea of charity work. The concept of charity goes back to ancient times, and the practice of providing for the poor has religious roots. For example, the Buddhist emperor Ashoka introduced a policy that established welfare as a right for all citizens. However, the practice and profession of social work has a relatively modern (nineteenth century) and scientific origin. During the Middle Ages, the Christian church had vast influence on European society and charity was considered to be a responsibility and a sign of one’s piety. This charity was in the form of direct relief (for example, giving money, food, or other material goods to alleviate a particular need), as opposed to trying to change the root causes of poverty. After the end of feudalism, a need arose to have an organized system to care for the poor. In England, the Poor Law served this purpose. This system of laws sorted the poor into different categories, such as the able bodied poor, the impotent poor, and the idle poor, and developed different remedies for each. The nineteenth century ushered in the Industrial Revolution. There was a great leap in technological and scientific achievement, but there was also a great migration to urban areas throughout the Western world. This led to many social problems, which in turn led to an increase in social activism. Also with the dawn of the nineteenth century came a great "missionary" push from many Protestant denominations. Some of these mission efforts (urban missions), attempted to resolve the problems inherent in large cities like poverty, prostitution, disease, and other afflictions. In the United States workers known as "friendly visitors," stipended by church and other charitable bodies, worked through direct relief, prayer, and evangelism to alleviate these problems. In Europe, chaplains or almoners were appointed to administrate the church's mission to the poor. During this time, rescue societies were initiated to find more appropriate means of self-support for women involved in prostitution. Mental asylums grew to assist in taking care of the mentally ill. A new philosophy of "scientific charity" emerged, which stated charity should be "secular, rational and empirical as opposed to sectarian, sentimental, and dogmatic. In the late 1880s, a new system to provide aid for social ills came in to being, which became known as the settlement movement. The settlement movement focused on the causes of poverty through the "three Rs" - Research, Reform, and Residence. They provided a variety of services including educational, legal, and health services. These programs also advocated changes in social policy. Workers in the settlement movement immersed themselves in the culture of those they were helping. In America, the various approaches to social work led to a fundamental question: is social work a profession? This debate can be traced back to the early twentieth century debate between Mary Richmond's Charity Organization Society (COS) and Jane Addams' Settlement House Movement. The essence of this debate was whether the problem should be approached from COS' traditional, scientific method focused on efficiency and prevention or the Settlement House Movement's immersion into the problem, blurring the lines of practitioner and client. Even as many schools of social work opened and formalized processes for social work began to be developed, the question lingered. In 1915, at the National Conference of Charities and Corrections, Abraham Flexner spoke on the topic "Is Social Work a Profession?" He contended that it was not because it lacked specialized knowledge and specific application of theoretical and intellectual knowledge to solve human and social problems. This led to the professionalization of social work, concentrating on case work and the scientific method. “Social work is a practice-based profession and an academic discipline that promotes social change and development, social cohesion, and the empowerment and liberation of people. Principles of social justice, human rights, collective responsibility and respect for diversities are central to social work. Underpinned by theories of social work, social sciences, humanities and indigenous knowledge, social work engages people and structures to address life challenges and enhance wellbeing." The current state of social work professional development is characterized by two realities. There is a great deal of traditional social and psychological research (both qualitative and quantitative) being carried out primarily by university-based researchers and by researchers based in institutes, foundations, or social service agencies. Meanwhile, many social work practitioners continue to look to their own experience for knowledge. This is a continuation of the debate that has persisted since the outset of the profession in the first decade of the twentieth century. One reason for the gap between information obtained through practice, as opposed to research, is that practitioners deal with situations that are unique and idiosyncratic, while research concentrates on similarities. The combining of these two types of knowledge is often imperfect. Professional social workers are generally considered those who hold a degree in Social Work. Often these practitioners must also obtain a license or be professionally registered. In many areas of the English speaking world, social workers obtain a Bachelor of Social Work (BA, BSc or BSW) degree. Some countries also offer post-graduate degrees like the master's degree (MA, MSc or MSW) or the doctoral degree (Ph.D or DSW). Lay practitioners, often referred to as SSA (Social Services Assistant) or Care Managers are unqualified and unregistered social workers. They are not professionally registered and often do not hold any formal social work qualification. Within the mental health sector, unqualified social workers (Social Service Assistants / Care Managers) are called Care Co-ordinators. The main tasks of professional social workers include case management (linking clients with agencies and programs that will meet their psychosocial needs), medical social work, counseling (including psychotherapy), human services management, social welfare policy analysis, community organizing, advocacy, teaching (in schools of social work), and social science research. Generally, they have a strong tradition of working for social justice and of refusing to recreate unequal social structures. Professional social workers work in a variety of settings, including: non-profit or public social service agencies, grassroots advocacy organizations, hospitals, hospices, community health agencies, schools, faith-based organizations, and even the military. Some social workers work as psychotherapists, counselors, or mental health practitioners, often working in collaboration with psychiatrists, psychologists, or other medical professionals. Social workers may also work independently as private practice psychotherapists in the United States and are able to bill most third party payers such as insurance companies. Additionally, some social workers have chosen to focus their efforts on social policy or academic research into the practice or ethics of social work. The emphasis has varied among these task areas by historical era and country. Some of these areas have been the subject of controversy as to whether they are properly part of social work's mission. In the United States of America, leaders and scholars in the field of social work have debated the purpose and nature of the profession since its beginning in the late 1800s. Those involved with the settlement house movement argued for a focus on social reform, political activism, and systemic causes of poverty. These social workers were primarily young women from middle-income families and chose to live in lower-income neighborhoods to engage in community organizing. In contrast to the settlement house movement, "friendly visitors" were women from middle-income families who visited (but did not reside among) families in lower-income neighborhoods. Friendly visitors emphasized conventional morality (such as thrift and abstinence from alcohol) rather than social activism. In the last quarter of the twentieth century, social work become defined as direct, individual practice in the form of aid to individual clients and families with targeted material assistance or interventions using the diagnostic and statistical manual of mental diseases DSM-IV. Now, however, there is a growing resurgence of community practice in social work. Of broad and growing significance are the relationship counseling and relationship education movements which seek to assist in interpersonal social skill building. Relationship education and counseling primarily aid that majority of individuals who are free of pathology or who have found that DSM-IV based services are ineffectual. Another new development in social work is the focus on informatics. Some schools of social work offer courses to build informatics skills. The National Association of Social Workers (NASW) is the largest and most recognized membership organization of professional social workers in the world. Representing 150,000 members from 56 chapters in the United States and abroad, the association promotes, develops and protects the practice of social work and social workers. NASW also seeks to enhance the well-being of individuals, families, and communities through its work and advocacy. Some states restrict the use of the title social worker to licensed practitioners, who must hold a degree in the field. Such restrictions are a high legislative priority of NASW. Nearly 40% of NASW members say that mental health is their primary practice area. The health sector employs 8% of NASW’s members, and 8% practice in child welfare or family organizations. Six percent of NASW members say school social work is their primary practice area, and another 3% work primarily with adolescents. Within the mental health field, social workers may work in private practice, much like clinical psychologists or members of other counseling professions often do. Private practice was not part of the social work profession when it began in the late 1800s, and private practice has been controversial among social workers, some of whom feel that the more lucrative opportunities of private practice have led many social workers to abandon the field's historic mission of assisting disadvantaged populations. The private practice model can be at odds with the community development and political activism strains of social work. Social workers in mental health may also work for an agency, whether publicly funded, supported by private charity, or some combination of the two. These agencies provide a range of mental health services to disadvantaged populations in the United States. In the United Kingdom and elsewhere, a social worker is a trained professional with a recognized social work qualification, employed most commonly in the public sector by local authorities. Spending on social services departments is a major component of British local government expenditure. In the United Kingdom, the title "social worker" is protected by law (since April 1, 2005) and can be used only by people who have a recognized qualification and are registered with the General Social Care Council (in England), the Scottish Social Services Council, the Care Council for Wales (Welsh: Cyngor Gofal Cymru), or the Northern Ireland Social Care Council. The strategic direction of statutory social work in Britain is broadly divided into children's and adults' services. Social work activity within England and Wales for children and young people is under the remit of the Department for Children, Schools and Families while the same for adults remains the responsibility for the Department of Health. Within local authorities, this division is usually reflected in the organization of social services departments. The structure of service delivery in Scotland is different. In 2007, the General Social Care Council launched a wide-ranging consultation, in concert with a number of other social care organizations, to determine a clear professional understanding of social work in the UK. Social workers are active in all areas of society, providing a valuable resource for those who are in distress, disadvantaged, or vulnerable. The settings and roles encompass community and inpatient mental health, inner-city and rural schools, prisons, adventure-based therapy, private practice, HIV/AIDS, public health, administration, hospitals, the military, managed care, residential treatment centers for adolescents, hospice, homeless outreach, college counseling centers, public child welfare, nursing homes, international social work, public policy, community organizing, youth centers, and many more. There are three general categories or levels of intervention. The first is "Macro" social work which involves society or communities as a whole. This type of social work practice would include policy forming and advocacy on a national or international scale. The second level of intervention is described as "Mezzo" social work practice. This level would involve work with agencies, small organizations, and other small groups. This practice would include policy making within a social work agency or developing programs for a particular neighborhood. The final level is the "Micro" level that involves service to individuals and families. In general, social workers employed in clinical or direct practice work on a micro level. Social workers who serve in community practice are occupied in the mezzo or macro levels of social work. There are a wide variety of activities that can be considered social work and professional social workers are employed in many different types of environments. The following major areas of intervention are of note. Some social workers are child welfare workers, a role that looms large in the public's perception of social work. This role contributes to a negative view of social work, since child welfare authorities can remove abused or neglected children from the custody of their parents, a practice that is fraught with controversy. Child welfare is a term used to describe a set of government services designed to protect children and encourage family stability. These typically include investigation of alleged child abuse and neglect ("child protective services"), foster care, adoption services, and services aimed at supporting at-risk families so they can remain intact ("prevention services" or "family preservation services"). The idea behind child welfare programs is that, in certain circumstances, the interests of the child could be better served by removing children from the care of their parents and placing them into state custody. While a preferred scenario is to support the family while keeping it intact, the circumstances that are detrimental to the child may be too severe. Under these conditions, children are removed on a temporary basis while the parents, and possibly remaining siblings, receive supportive services until the family is deemed in a position to resume care of the child. Community practice is a branch of social work that focuses on larger social systems and social change, and is tied to the historical roots of United States social work. In the past, it was known as "macro practice" social work. The field of community practice social work encompasses community organizing, social planning, human service management, community development, policy analysis, policy advocacy, evaluation, mediation, electronic advocacy, and other larger systems interventions. In the field of social work, community practice is often contrasted with direct practice social work, in which social workers work directly with individuals solving micro-level problems. Community practice has considerable overlap with many other applied social sciences, such as urban planning, economic development, public affairs, rural sociology, and nonprofit management. Family welfare programs seek to preserve and strengthen the family unit, regarding healthy family life as the optimal situation for all its members. Family welfare programs must tackle the most complex and difficult issues facing families, such as domestic abuse, mental health problems, learning disabilities, and severe financial hardship. They seek to support the family through both economic and personal assistance with a variety of services. Personal assistance services include marriage counseling, maternal, prenatal, and infant care programs; family planning services; family-life education, which promotes both the enrichment of family relationships and the improvement of home economics; "home-help" services providing household assistance to families burdened with chronic illness, handicaps, or other dependencies; and care of the aged through such programs as in-home meal services, transportation, regular visitation, and reduced-cost medicines. School social work has an extensive history in the United States, dating to the first decade of the twentieth century, when it was established in New York, Boston, Chicago, and New Haven, Connecticut. At its inception, school social workers were known, among other things, as advocates for equity and fairness as well as home visitors. The expansion of school social work services was encouraged by a number of factors. By 1900 over two-thirds of the states had compulsory attendance laws and by 1918, each state had passed compulsory attendance laws, making school attendance obligatory, and not simply a privilege. 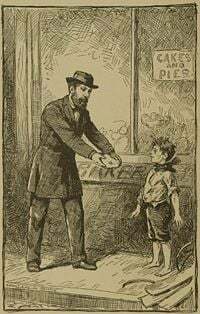 Child labor legislation, the Progressive Movement which saw social work efforts initiated in the schools, and community settlement programs also led to its growth. A 1917 study of truancy in Chicago supported “findings that the need for school attendance officers who understood the social ills of the community” and school social workers were best equipped for that responsibility. Mary Richmond, one of the founding mothers of social work, devoted an entire chapter to the visiting teacher in her 1922 book on What is Social Casework? The testing movement influenced school social work growth as well. Through the testing movement, educators were gaining knowledge about individual differences, underscoring the need for some children to attend school, children whose social conditions related to their test scores. Lastly during this time, leaders in the field like Sophonisba Breckinridge, expressed concerns of how school and education would relate to future success and happiness, and expressed the need to connect school and home in order to relate to the needs of children. In the 1920s, the mental hygiene movement was concerned with treating nervous disorders and behavioral problems in difficult children. In the 1930s, like school counseling, school social work also declined. From the 1940s to 1960s casework in schools had become an established specialty, the profession began to emphasize collaboration and communication with teachers and others school personnel. The school social worker had become an expert who could help schools on psychosocial issues. School social work is structured around a range of practice models, including the traditional-clinical model; the school change model whose major focus is the dysfunctional conditions of the school; the community school model which urges school social workers to employ community organization methods; and the social interaction model which focuses on the school, community, and student and the interactions among the three. School social workers serve as mediators, negotiators, and consultants; they advocate for students, listen to student grievances, and set up informal groups for students, teachers, and other school personnel. In particular, they study and evaluate characteristics of student, school, and community conditions that affect educational opportunities for target groups (students with chemical dependency, disabilities, and so on). Although the infirm elderly constitute only a small minority of the retired population, their claim on social services is disproportionately heavy. Such services include transportation, friendly visiting, home delivery of hot meals, nurse visitation, and reduced-cost medical supplies. Senior centers sponsor group activities such as crafts, entertainment, outings, and meals on a regular basis. Nursing homes provide medical and custodial care for those who are unable to live independently. As the population ages, particularly in advanced industrial societies, this area is becoming one of increasing concern. ↑ 1.0 1.1 1.2 1.3 Dan Huff, Progress and Reform: An Illustrated History of Social Work 1860-1940 (National Association of Social Workers Press, 1998, ISBN 0871012960). ↑ 2.0 2.1 2.2 Debra Parker-Oliver and George Demiris, Social Work Informatics: A New Specialty, Social Work 51, 2 (April 2006): 27-134. Retrieved November 29, 2017. ↑ Abraham Flexner, “Is Social Work a Profession?” 1915. 581-590. ↑ Nili Tannenbaum and Michael Reisch From Charitable Volunteers to Architects of Social Welfare: A Brief History of Social Work, (University of Michigan, 2001). Retrieved November 29, 2017. ↑ Global Definition of Social Work Approved by the IFSW General Meeting and the IASSW General Assembly in July 2014. Retrieved November 29, 2017. ↑ NASW, Facts About NASW. Retrieved November 29, 2017. ↑ Social Workers National Institute For Social Work. Retrieved November 29, 2017. ↑ Linda May Grobman, Days In The Lives Of Social Workers: 54 Professionals Tell "Real-life" Stories From Social Work Practice. (White Hat Communications, 2004, ISBN 978-1929109159). ↑ Paula Allen-Mears, Social work Services in Schools (5th ed). (Boston, MA: Allyn & Bacon, 2006, ISBN 978-0205484690). Flexner, Abraham. “Is Social Work a Profession?” (paper presented at the National Conference on Charities and Correction, 1915), 581-590. Parker-Oliver & Demiris. Social Work. 51, 2(2006): 127-134. All links retrieved November 29, 2017. Global Definition of Social Work – Adopted July 2014 by the International Federation of Social Workers. This page was last modified on 29 November 2017, at 20:06.